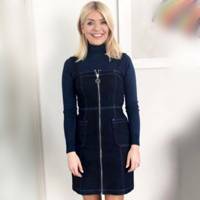 Holly Willoughby's new edit of Marks & Spencer's AW18 collection has flown off the shelves. Fans of Holly's style are so desperate to get their hands on the sought-after pieces including the sold-out leopard print dress, they are paying double the price on eBay. 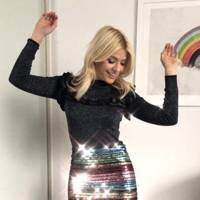 The This Morning presenter, 37, released her collection last Thursday with people waiting up to midnight to try and snag a piece of Holly's style. The animal print dress, which cost £49.50, sold out in sizes 6-14 overnight and is being listed on the auction site for as much as £100. One post has the dress priced at £100 and has a dozen 'watchers' on eBay and another dress price currently is at £51 after six bids, and another at £55 with one bid. While instead of waiting for the auction to end, there are many other options to buy the dress in various sizes on the website for the Buy It Now price of between £80 and £100. Marks & Spencer still have sizes 16 to 24 left in stock to buy. A key part of the collection, Holly modelled the animal print long sleeve shirt dress with a leather jacket, ankle boots and bag for promotional photos. Speaking about the dress, Holly said: "It's leopard print, which I love, and easy to wear. A perfect dress to have in your wardrobe. "Strut into your next event or social gathering wearing this stunning animal print dress and you're sure to turn heads. Combining print, pleats, a waist tie and a gorgeous blouson sleeve, this women's dress is the stylish piece your wardrobe is missing." 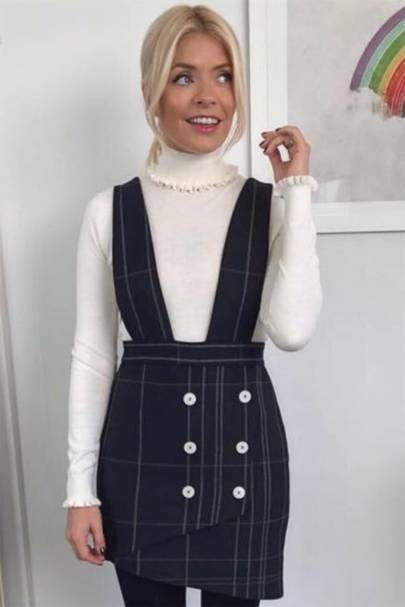 On the high street shop's website, the dress has been reviewed over 40 times and received four and a half stars out of five in the review section. "Loved it and so pleased I ordered as soon as it came out as now sold out," another added. 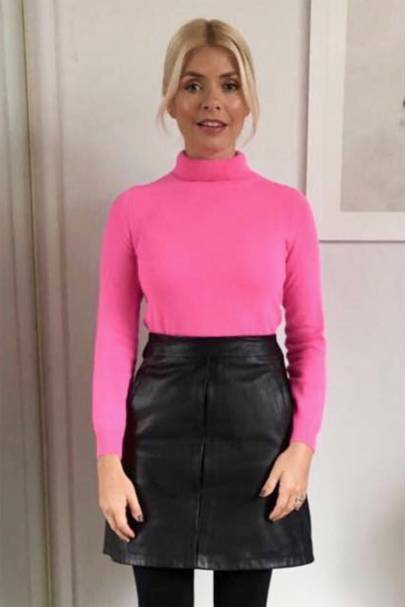 "Excellent Quality dress and so lovely in the pink and black as for me it goes with all the jackets and boots I already have. Love it . Hardly every buy clothes from Marks, so well done for getting Holly to choose some more modern pieces." While one worried it's been so popular everyone will be wearing it: "Was excited by the new Holly collection so logged on early Thursday morning to grab the pink coat. Had seen the dress in the ad and not loved it but figured as delivery to store would be free and I was getting the coat anyway to give it a go! So glad I did!! 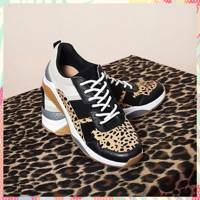 It’s lovely stylish and nice material. Can be styled a number of ways too so it’s a winner for me! Only downside is that it was so popular I’m sure I won’t be the only one wearing it!" Praising the piece's versatility, another said: "The colour is beautiful, I'm 5ft6 so it's a lovely midi length and looks good over jeggings for a more casual look. The pleats hang beautifully and very flattering." Social media was on fire with fans going wild for Holly's white midi skirt. It's the The best news? It's been slashed in price from £205 to £144 and selling like hot cakes. 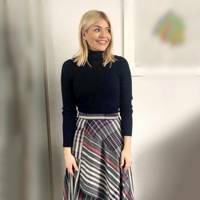 Holly made a transitional leap into Spring with this tartan asymmetric wrap skirt from , which she teamed with a pared back top by Winser London and her trusty Kurt Geiger heels. We predict the M&S skirt will be a sell-out.